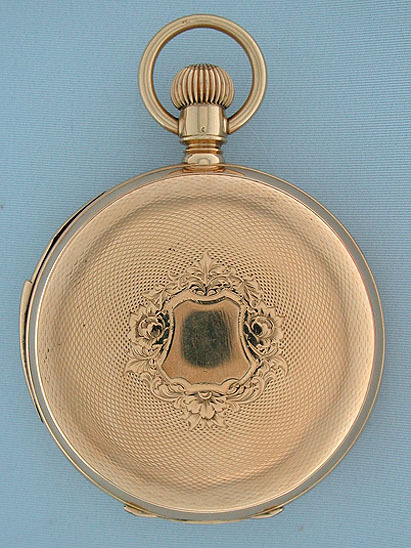 Fine and scarce 14K gold Timing & Repeating Watch Co. 5-minute repeater circa 1890 by the company that also made ebauches for Waltham repeaters. 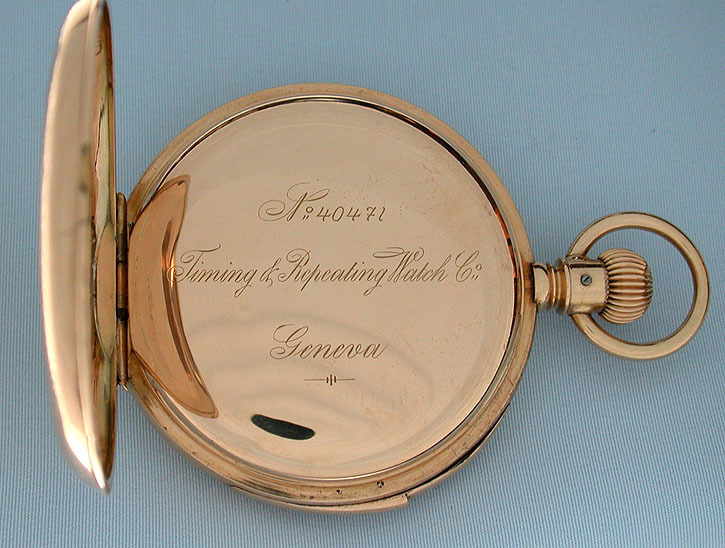 Engine turned case (insignigicant dings) with slide in the band to activate the repeat and applied shield on the cover over a previously engraved cartouche. 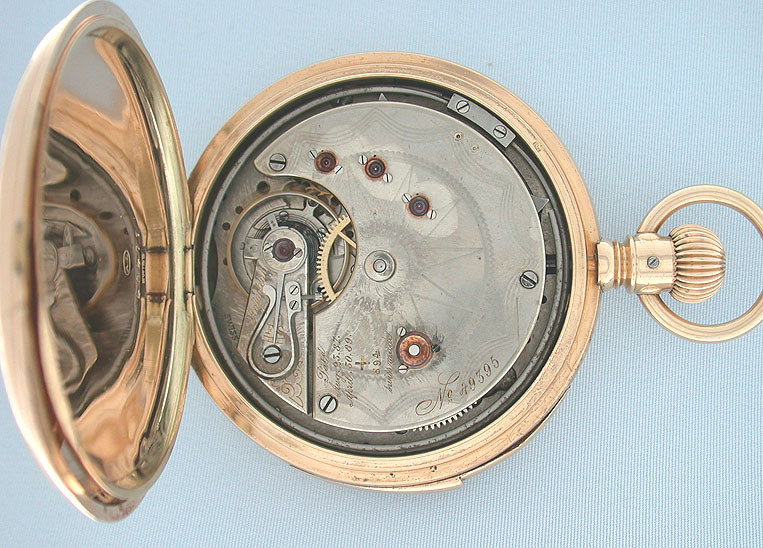 Nickel 15 jewel 3/4 plate movement with the repeat train under the dial. 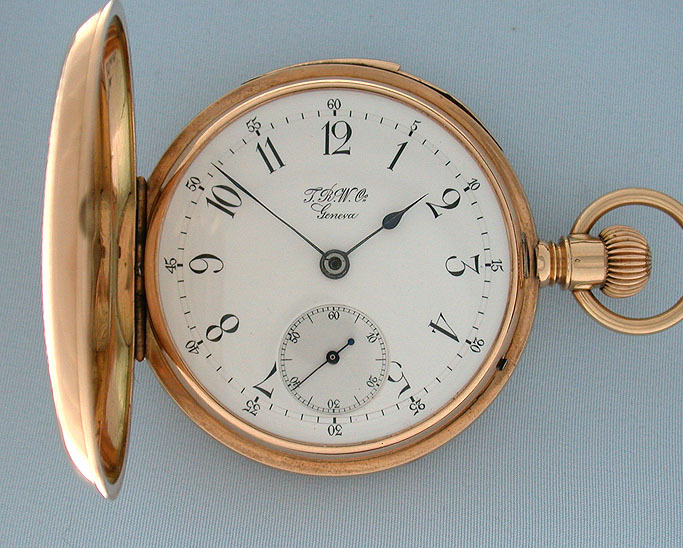 Bold white enamel dial with blued steel hands. 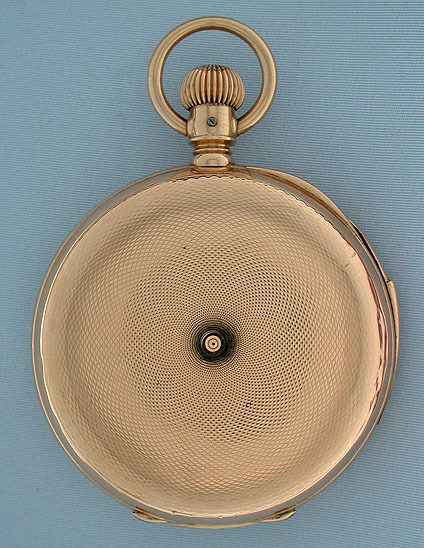 When activated, this watch chimes the time using different chime tones to designate the hours and five minute intervals. Loud clear tone.